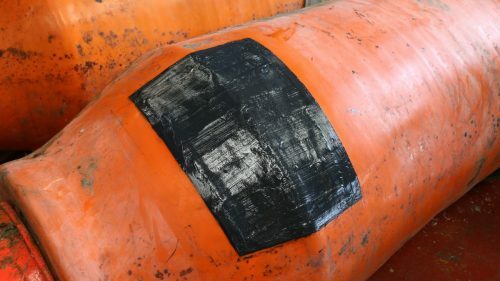 Exposure to offshore salt spray, general weathering and chemical contact can all impact flanged connections. 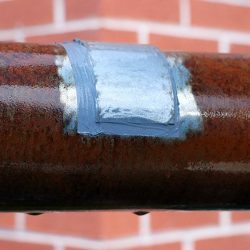 When bolts and flanges are made of dissimilar metals, corrosion can develop and spread even faster. Belzona 3412, a liquid-applied, moisture-curing membrane system, can protect flanges from corrosion for the long term. Unlike conventional paints, it offers excellent edge retention and film build around complex geometries. 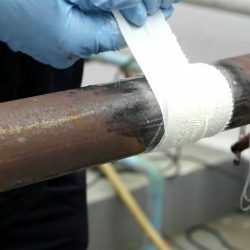 Bolts can be easily accessed by cutting and peeling the membrane (when Belzona 8411 release agent/corrosion inhibitor is also applied as part of the system). The system can then be resealed again to protect flanges from corrosion. The system can be brush- or spray-applied. Let’s look at the spray application. Immediately transfer mixed product into the cartridge. Belzona 3412 and Belzona 3411 are moisture-cured and will not cure until being sprayed onto the flange. This convenient feature enables several cartridges to be filled and used over several days on larger jobs. When ready to apply, cut the end of the cartridge thread horizontally. Re-tighten the cartridge support tube until it closes. Tighten the Jet control handwheel clockwise to obtain a gradual closing of the air passage and therefore a reduction in atomisation (more orange peel effect). Loosen the Jet control handwheel anti-clockwise to obtain a gradual opening of the air passage and therefore an increase in atomisation. Tighten material control handwheel clockwise to obtain a gradual reduction in product flow. Loosen anti-clockwise to increase flow. Combined adjustment of the handwheels enables the user to obtain varying degrees of smoothness in the finish. The distance from which the material is sprayed determines the variation in characteristics of the spray itself. The gun trigger activates with a 2-stroke principle. The first activation delivers air via the jet adjustment handwheel which must be open, while the second stroke also activates material delivery. Connect the gun to a compressed air system featuring the following characteristics: maximum air humidity: 5%, air temperature range from -10°C to +70°C, system flow rate of at least 500 l/min, system equipped with lubrication. 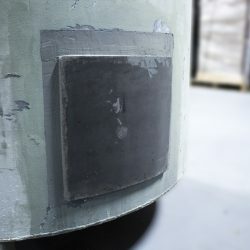 To protect flanges from corrosion, manual surface preparation is sufficient to achieve optimum adhesion between the membrane and the substrate. 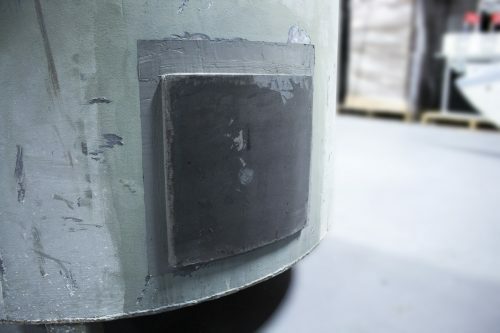 If the flange is painted, use abrasive paper to roughen the termination points. 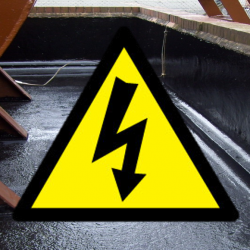 If the flange is corroded – a wire brush. 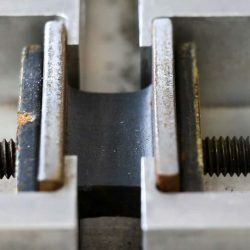 Apply bridging tape over the flange. 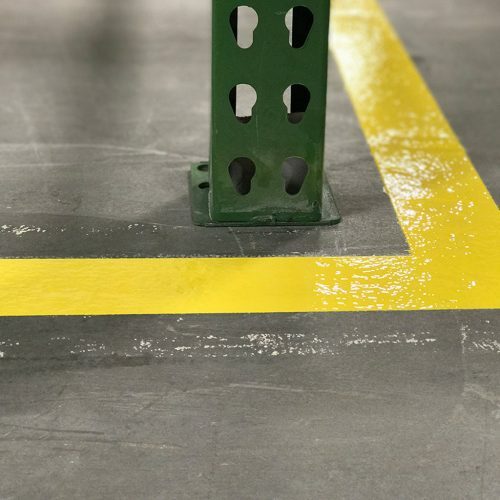 Protect prepared termination points with masking tape. Spray or brush-apply release agent/corrosion inhibitor, Belzona 8411, and fit the bolt caps. Remove masking tape from the termination points. Apply masking tape or release film at the edges for a neat finish. Spray apply first coat of the Belzona membrane. Add the reinforcement tape, Belzona 9311, at the termination points and the centre of the flange. Apply the second coat and remove masking tape. Belzona’s corrosion protection solution has been tested for 6000 hours in a salt spray cabinet. 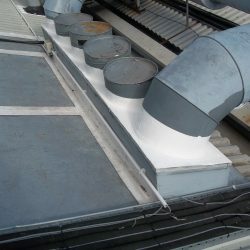 It is also resistant to UV and general weathering. Protection will last until the next bolt inspection when the system can be simply cut, peeled and resealed to reinstate protection. Contact us to see how we can help you protect flanges from corrosion.